Multi-Functional Survival Compass with Signal Mirror | BUDK.com - Knives & Swords At The Lowest Prices! 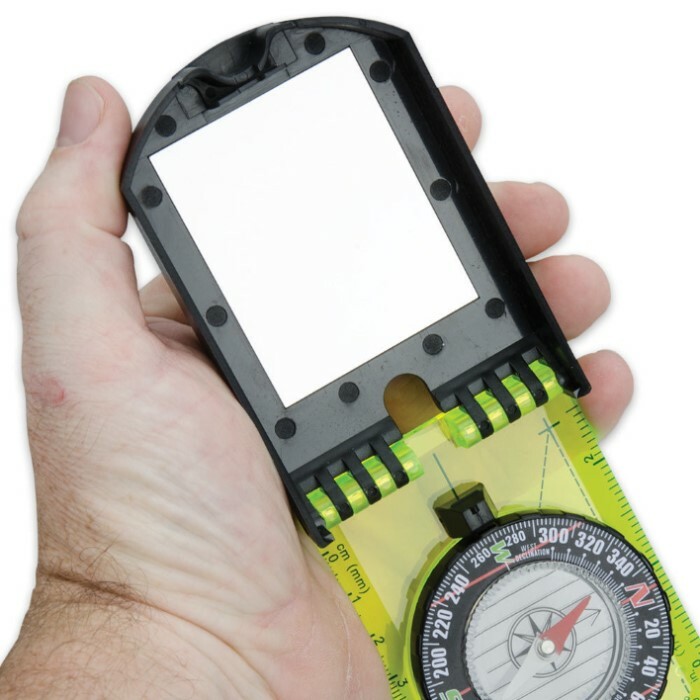 This compass is a good one it has a mirror if you are lost you can signal and the compass itself is easy to read I Like it. 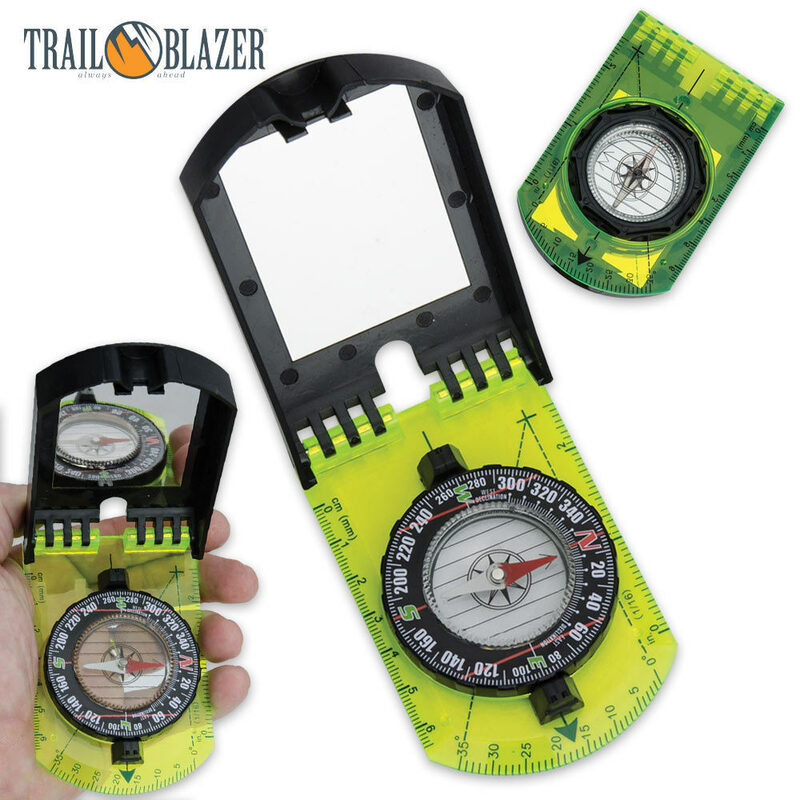 This is a nice compass (no pouch) I like the see thru yellow base with markings, for map reading and movable bezel.Seems to be very accurate.